If A Witnesses Fails To Testify, Can My Charges Be Dropped? IN WHICH CASES ARE VICTIMS MOST LIKELY TO BE UNCOOPERATIVE? The issue of a purported victim dropping the charge or refusing to testify arises most frequently – in fact, almost exclusively – in cases of domestic violence. In Colorado, domestic violence crimes include a wide range of crimes that may be committed against someone who has had an intimate relationship with the defendant. Clearly, battery and assault – or the threat to commit battery or assault – can be crimes of domestic violence, but so can any behavior aimed at coercing, controlling, punishing, intimidating, or inflicting revenge against an intimate partner or an ex-intimate partner. Harassment, kidnapping, menacing, theft, burglary, and the destruction of private property are all crimes that will be considered domestic violence crimes if the victim is or has been the defendant’s spouse, ex-spouse, or intimate partner. WHEN WILL THE STATE PURSUE CHARGES – EVEN IF THE VICTIM DOESN’T? However, if an alleged domestic violence victim chooses not to pursue charges, the case is not automatically dismissed. 1. Testimony from the witness is already on the record: The state may not need testimony from an alleged victim if the alleged victim has already testified on the record at a deposition or a preliminary hearing. 2. A 911 recording is available: If an alleged victim made a recorded 911 call, that recording is evidence from the incident that led to the criminal charge. The call may indicate that the victim was being threatened, assaulted, or harmed in some other way. 3. Other witnesses are available: If someone else who’s willing to testify witnessed the incident, the state may not need an alleged victim’s testimony. There may also be medical records, video, and other evidence that the state may use in lieu of a victim’s testimony. WHY DO CRIME VICTIMS SOMETIMES CHANGE THEIR STORIES? Although the state may choose to move forward with a criminal prosecution even without the testimony of the purported victim, an uncooperative victim who changes or recants his or her allegation can make it difficult for the prosecutor to win a conviction. Alleged victims may decide to be uncooperative with the prosecutor for a variety of reasons including but not limited to embarrassment, fear, confusion, guilt, or reconciliation with the defendant. Anyone who is charged with a crime of domestic violence in this state should not presume that the charge will be dismissed simply because the victim no longer wants to testify. If the state chooses to prosecute, the defendant must seek legal counsel to protect his or her rights. HOW WILL A CRIMINAL DEFENSE LAWYER HELP YOU? In the state of Colorado, anyone charged with a crime must be advised and represented by an experienced Denver criminal defense attorney. Working with a knowledgeable and reputable attorney is your best shot at having the charge reduced or entirely dismissed. In a domestic violence case, if the alleged victim refuses to testify, your attorney will probably file a motion to dismiss, citing the absence of the victim’s testimony as the reason why a dismissal of the charge is appropriate. If the charge is not dismissed prior to trial, your attorney has another chance to have the charge dismissed when the trial begins. 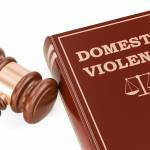 HOW CAN YOU DEFEND AGAINST A DOMESTIC VIOLENCE CHARGE? If you’re accused of domestic violence in Colorado, and if you’re innocent, contest the charge. After considering the particulars of the charge against you, your lawyer will work on crafting an effective, appropriate defense. How do you defend against a domestic violence charge? Remember, the state must prove a defendant’s guilt beyond any reasonable doubt, and in domestic violence cases, that isn’t always easy – especially if the alleged victim becomes uncooperative. A good defense attorney may either discredit the domestic violence accusation – if it was fabricated – or suggest that you were acting in self-defense or in the defense of your personal, private property. 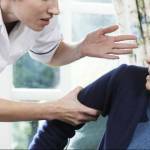 WHAT SHOULD YOU KNOW IF YOU ARE ACCUSED OF DOMESTIC VIOLENCE? 1. Do not confront the alleged victim. After you have been arrested and charged, everything you do will be closely scrutinized. Ask a reputable and reliable witness to accompany you if you must communicate with the purported victim. 2. Avoid social media like Twitter, Instagram, and Facebook. Whatever you post on those platforms could be twisted and used against you. 3. Line up witnesses who will testify regarding your character and about specific incidents. 4. If you’re charged with a crime of domestic violence in Colorado, get legal help at once by speaking to a reliable criminal defense attorney in the Denver area. That is your right. Domestic violence allegations are taken quite seriously by this state’s criminal court system, because any failure to take these complaints seriously can result in genuine tragedy. If you are convicted of a domestic violence crime in Colorado, you cannot expect leniency from the court. Most crimes of domestic violence are prosecuted as misdemeanors in Colorado, but if the crime has resulted in a lasting or serious injury, the charge will be a felony. Whether or not an alleged victim testifies against you, a conviction on a domestic violence charge will very negatively impact your life. The legal penalties can be harsh, but apart from the legal penalties, you also may lose the respect of friends, colleagues, and family members. If you are charged with any crime, you have the right to an attorney. Exercise that right at once after an arrest, because nothing is more important than your freedom and your future. 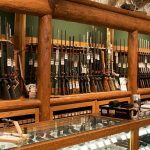 Can A Domestic Violence Conviction Prohibit You From Owning A Gun In Denver?